This Year, I’m Gonna Do It! The new year is beginning, so as we wave goodbye to 2017 and say hello to 2018, it’s time to make our New Year’s resolutions! 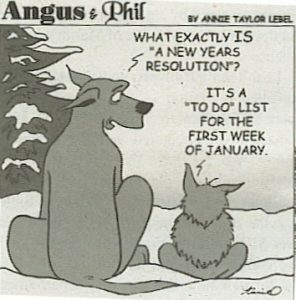 New Year’s resolutions can be super exciting! They’re a chance to set a new goal to go to the gym more, eat healthier, or to add more fun into your every day schedule. I love thinking about my resolutions each year because it helps me to reflect on the past year, and give me hope for the year to come. 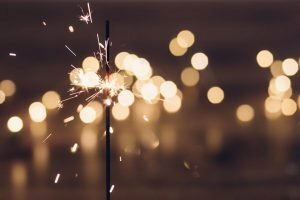 However, I know that some of you might be rolling your eyes right now, thinking “I make these resolutions every year, and I never fulfill them.” Falling short of your resolutions can be kind of a buzzkill to start off new year, so before you start setting your goals, let’s take some time to think about why it’s so common to fall short of our goals. If you’re reading this right now and this applies to you, I want you to know that you’re not alone! I have made plenty of unfinished resolutions, and I’m sure I will in the future too. It’s completely normal: priorities change, something unexpected happens, or we just forget what we wanted to do. Don’t let that stop you from partaking in this annual tradition, but let’s find a way to do this differently so that we can be more successful! One of the biggest reasons that our New Year’s resolutions fail is because they are either too abstract or too long term, so we can’t see any immediate or obvious results. This can be very discouraging, so we end up giving up and saying to ourselves, “There’s always next year.” A few years ago, I made this mistake myself. In 2014, I told myself that I wanted to gain about 15 pounds by the time summer came around (“gainz” was the big trend back then). I was so determined to be satisfied when I looked at my body in the mirror that summer, so on January 1st, I hit the gym. For the first two weeks, I maintained a high calorie diet, and a strict gym regimen. I was so excited to step on the scale to see my progress! When I looked down, I saw that I had barely even gained a pound. I was so upset, that I lost almost all my motivation to achieve my goal. So what could I have done to fix this? Well, there is no miracle cure for achieving New Year’s resolutions. 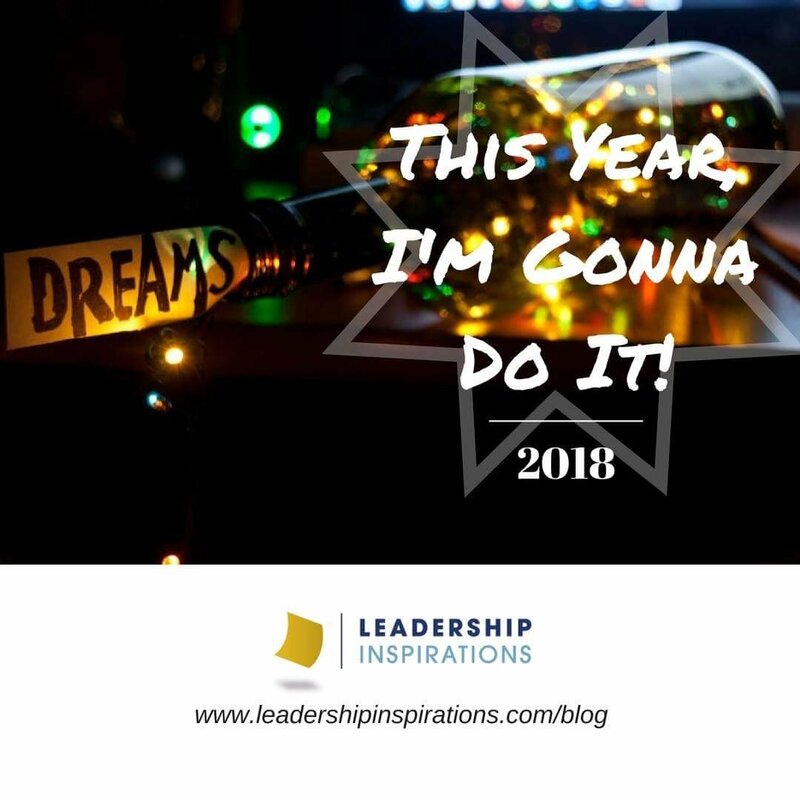 However, I do have three tips that you can try this year, to help kick 2018 off to a great start! Incrementation! Break your larger goals up into smaller, more achievable goals. When you achieve one of your smaller goals, take time to celebrate the fact that you are that much closer to achieving your larger goal! Accountability! Find a way to keep yourself accountable in 2018. Try writing your goals down in a bullet journal, or a tell a friend about your resolution so that they can check up on you! Keep your eye on the prize! Having a goal is great, but before you make it your resolution for the new year, think about why it’s so important to you. When you aren’t feeling very motivated, think about the reason you set the goal in the first place, instead of fixating on the goal itself, and hopefully it will help you to push through! I’m so excited to set my New Year’s resolutions for 2018, and I hope that you are too! This year, just keep in mind the words of Pam Halpert, “It’s not about being perfect, it’s about trying!” I believe in you all, and HAPPY NEW YEAR!! 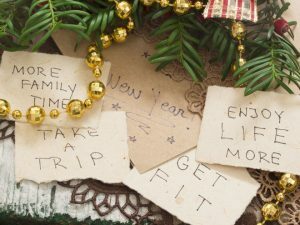 When making your New Year’s resolution this year, or any goal in 2018, a great way to think about them is to make your resolutions as SMART as possible. 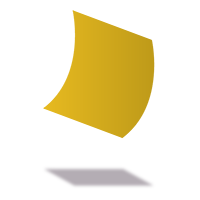 SMART is a an acronym that can be used as a tool for you this 2018! 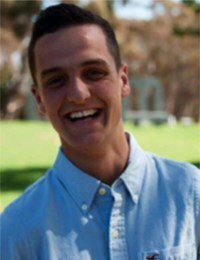 Gino Calavitta is an avid Netflix watcher who enjoys practicing American Sign Language and going to concerts!